Splash Ball for all 5-10 year olds. Come learn from NBWP's excellent coaches! Program for New Players - Come try it out for 1 week. Player should attend the WPD Group or age group that matches their age as of 8/1/19. Registration for all 10U players. Practices begin the week of May 11th. 10U/WPD is for players who are 10 years or younger as of August 1, 2019 or players of any age who have no water polo experience. It is designed to teach players the fundamentals of water polo and to focus and develop basic skills to prepare them for competitive water polo. Includes boys and girls with experience as well as those with little or no previous water polo experience. Registration for all 12U players. Practices begin the week of May 11th. 12U is for players who are 12 years or younger as of August 1, 2019. Registration for all 14U players. Practices begin the week of May 11th. 14U is for players who are 14 years or younger as of August 1, 2019. Registration for all 16U/18U players. Practices begin the week of May 6th. Registration for all 16U/18U players. Practices begin the week of February 18th. Registration for all 10U players. Practices begin the week of February 23rd. 10U/WPD is for players who are 10 years or younger as of August 1, 2019 or players of any age who have no water polo experience. It is designed to teach players the fundamentals of water polo and to focus and develop basic skills to prepare them for competitive water polo. Includes boys and girls with experience as well as those with little or no previous water polo experience. Registration for all 12U players. Practices begin the week of February 23rd. 12U is for players who are 12 years or younger as of August 1, 2019. Registration for all 14U players. Practices begin the week of February 23rd. 14U is for players who are 14 years or younger as of August 1, 2019. Registration for all 16U/18U players. Practices begin the week of February 25th. 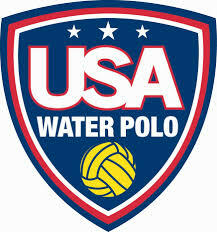 Register or renew your USA Water Polo Membership Today! Players must be current to play with NBWP.